Hi there! After publishing 4 new (or 20 year old?) games in 2018, we are proud to announce our first project for 2019. Adventures on the High Seas! Instead of just throwing all new mechanisms to you, we have sorted them into 6 modules. You can add a single module to the game, a few, or just throw them all in! 1 – Forts. In the base game, you have to watch out for pirates and other players while sailing, and nothing else. When you deliver your spices back on your home island, they are safe. Now, not anymore… You start with a fort on your home island with which you can defend against other players trying to steal your spices. Pirates get 2 forts on the High Seas to aid them, but if you defeat them, you could own those forts! 2 – Settlements. Because this expansion comes with a lot more options to spend your gold on, it’s only fair that you also get the opportunity to earn more. You can now build settlements on wild islands with no cards left on them. The settlement will produce crates for you, and act as a harbor to protect you from attacks too! 3 – Treasures. Similarly to settlements, when you find a treasure, you find gold! Which aids you wih modules 1 and 6. 4 – Events. No longer can you only draw trade propositions at wild islands. When you least expect it, lightning strikes! Or you summon the Kraken. Or who knows, something helpful may happen. It also means you can no longer safely look at the last card at an island. It may be an event, which means then the deck is empty and you can be attacked! 5- Reefs. Another danger on the High Seas for you, your opponents and the pirates! Are you going to be safe and sail around them, or take the risk and hope your ship passes safely through it? Getting stuck is no fun, except for when it happens to the pirates! 6- Crew. When an island runs out of trade cards in the base game, they are of no interest. Not anymore! You can now build settlements, but the locals on the island are also looking for something to do! Pay a local for their services and upgrade your ship in a whole new way! Just be careful in battles not to get your crew killed! 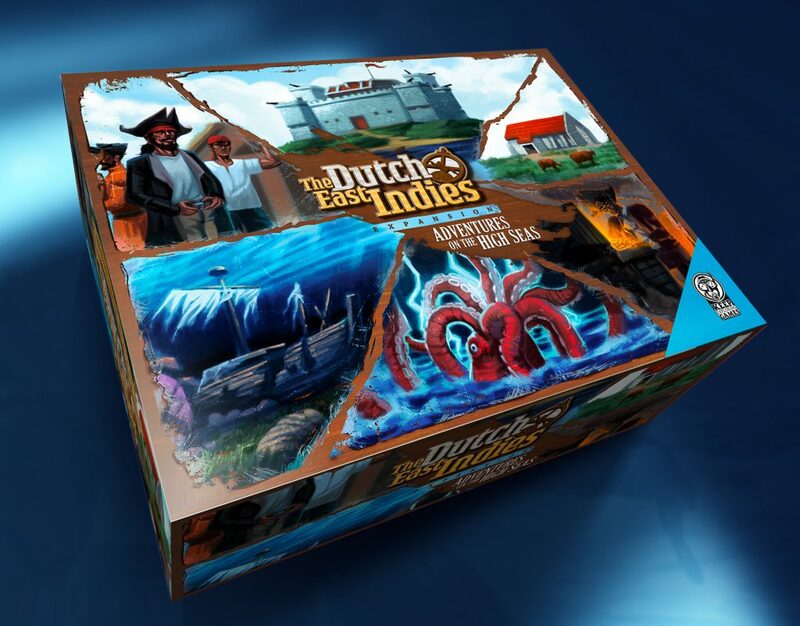 Adventures on the High Seas is now being prepared for Kickstarter! We hope to have it live by April, with an early fall release!